Your outdoor living space is an extension of your home. It should be a seamless transition from one space to the next. 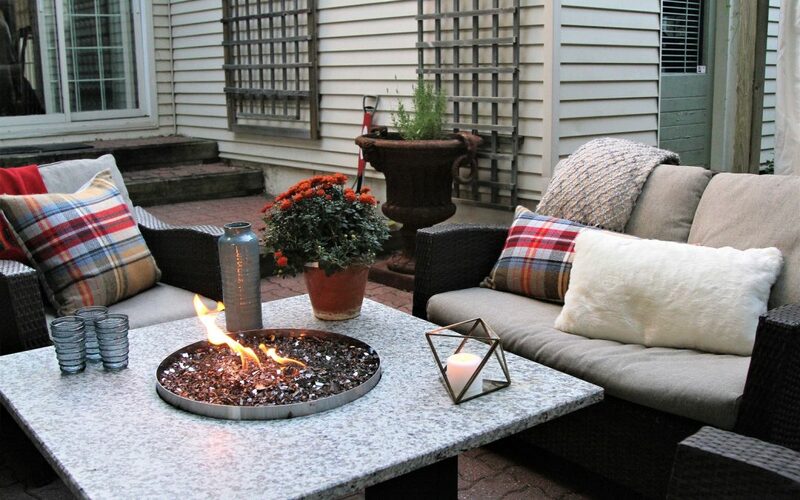 Use consideration when purchasing the best backyard furniture for your space. What do you visualize when thinking of your ideal outdoor space? Are you going for a cozy vibe with couches and cushions or a more formal feel with seating around a table? Will you accent the area with plants? What are the color implications of your choices? Coordinate with the color of your home. Pick up on the floral accents in your yard. Use backyard furniture to compliment that water feature you installed. While the warm weather beckons us to enjoy our outdoor space, it has a huge impact on purchasing choices. If afternoon rain is common in your area, consider furniture made to dry. Surfaces may appear dry until you spring back up with a soggy backside. Watch for pooling water in the cracks of cushions. A nice cool breeze is great on a hot day, but a full-on wind gust can create havoc. If breezes turn blustery, consider a solid umbrella base and cushion accents. Cushions will tie to the frame of the furniture to avoid any unintended mishaps. The sunshine itself can also influence your decision. Direct light in dry climates may result in cracking or fading. Add an umbrella to a location where some natural shade may provide needed protection. Decide how to leverage your backyard climate to your advantage. Tulsa Greenscapes can create the right space with the most pleasant of conditions. Contact us today at 918-859-4733.